Tablature is a system of musical notation developed many years ago for string players in general, not just guitar players. Referred to as TAB, tablature is now primarily associated with guitarists, and the Internet is full of websites devoted to offering free guitar tabs of all skill levels. For beginning guitar players, easy beginner guitar tabs are available that allow guitar players with limited abilities to play some of their favorite songs. These beginning guitar tabs are also ideal for teachers who want to keep their students interested by introducing them to songs they can play early on. 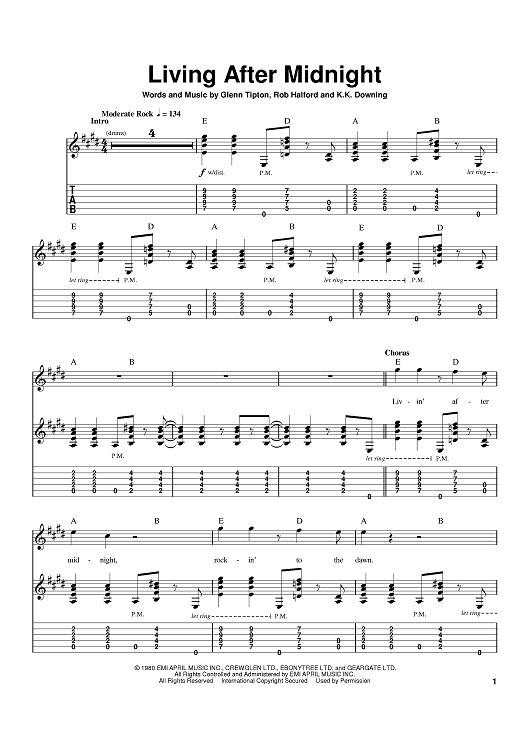 Easy beginner guitar tabs are available for just about any song you might want to play. The difference between an easy guitar tab and a standard arrangement is that easy guitar tabs typically include simplified arrangements of major riffs and sometimes easy licks. There are also beginner songs that primarily use just chords and lyrics and sound pretty good without anything else. Some songs are easy enough to play that they don’t need a lot of simplification. Country, folk, and rock ballads usually sound good with just the chords and a vocal. Songs like Poison’s “Every Rose Has It’s Thorn” and Skid Row’s “I Remember You” are pretty easy to play without beginner guitar tabs. 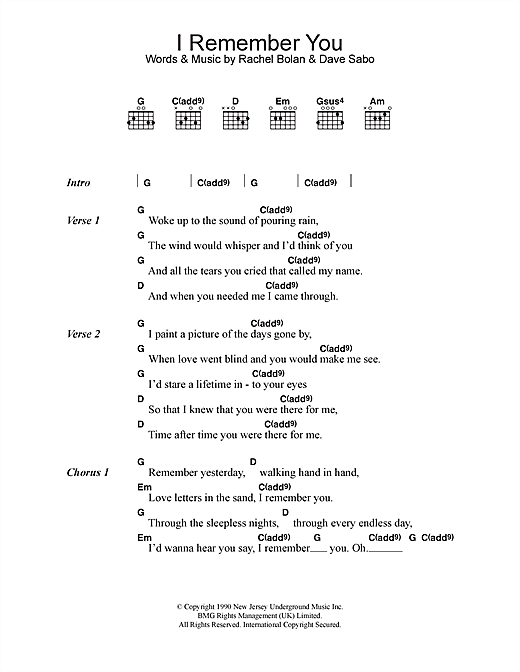 The chords sound great and the little fills that make up the songs are easy enough to be tabbed out in simplified arrangements. A lot of metal songs are easy to play and easier arrangements can be found online. “Livin’ After Midnight” by Judas Priest is an example of a song that isn’t extremely difficult. Beginner tabs for the song usually just omit the solo. The rest of the song is built around a solid power chord riff that is perfect for beginning guitar players. Check out the example below. You can also find plenty of music books with easy beginner guitar tabs, but you can find just about anything you want online without having to purchase books. You can also find video lessons that teach beginners how to play popular songs. Some of those videos include tab, plus there’s the advantage of being able to watch the songs played as you follow along. This is an extremely easy way for beginning guitar players to learn. It’s pretty simple to distinguish between easy versions and standard versions of guitar song notation. Simplified versions are much shorter, often no more than a page, and a fully tabbed version of a song can run several pages. 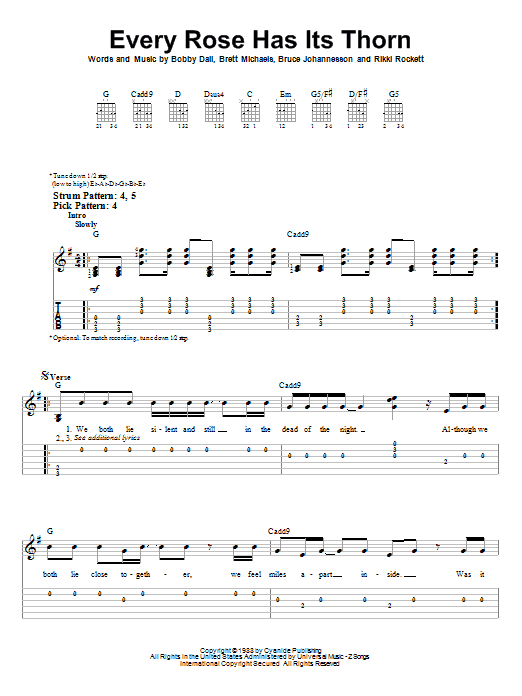 Wherever you are with your skills, there are plenty of easy beginner guitar tabs for you to take advantage of online. Take advantage of them to play some of your favorite tunes at every level of your journey.